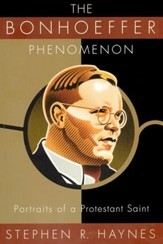 After his martyrdom at the hands of the Gestapo in 1945, Dietrich Bonhoeffer continued his witness in the hearts of Christians around the world. 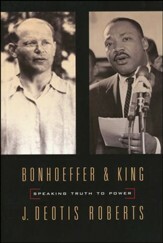 In his book Life Together we learn of Pastor Bonhoeffer's experience within Christian community. This story of a unique fellowship in an underground seminary during the Nazi years reads like one of Paul's letters. It gives practical advice on how life together in Christ can be sustained in families and groups. The role of personal prayer, worship in common, everyday work, and Christian service is treated in simple, almost biblical, words. 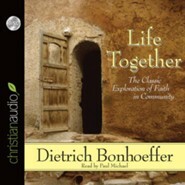 Life Together serves as bread to all who are hungry for the real life of Christian fellowship. 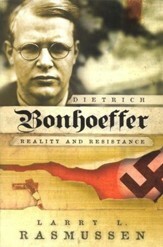 Dietrich Bonhoeffer (1906–1945) was a renowned and beloved Christian minister, seminary professor, and theologian who was imprisoned and later executed by the Nazis for his resistance to Hitler. 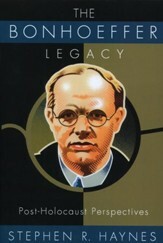 He was the author of the bestselling classic The Cost of Discipleship, Life Together, and Letters and Papers from Prison. 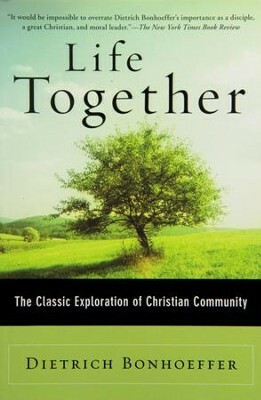 I'm the author/artist and I want to review Life Together: The Classic Exploration of Christian Community.